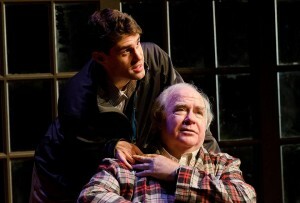 Tuesdays with Morrie is another triumph for 2nd Story Theatre, which seems to excel with intimate dramas. Once a week Mitch visits college professor Morrie Schwartz, who is dying of ALS, to offer him companionship and in the process, learns some lessons in life. The two men discuss growing older, love, life and of course, death. One day, Morrie asks Mitch, who is a workaholic who appears to be missing something from his life, if he is at peace with himself. Morrie observes that although his death is imminent, Mitch is dying more slowly. “Love is the only rational act,” Morrie tells Mitch. “Without love, we are like birds with broken wings.” Morrie is never preachy or condescending when he speaks. He offers simple truths with a dose of humor. Tuesdays with Morrie works so well because of the crisp direction by Mark Peckham and the marvelous chemistry between the actors. Jay Burke is a gracious and charming Morrie, who is suffering unimaginable pain but never wallows in self-pity and bitterness. It is a perfectly nuanced performance. Jeff DeSisto is also very effective as Mitch, who masks a soft interior beneath all the macho swagger. Production designer Max Ponticelli created the simple but beautiful set, which was well-suited for the theater’s cozy downstage. For theatergoers, Tuesdays with Morrie will touch the heart as well as the mind. Tuesdays with Morrie runs through June 26, and again from July 14-17. 2nd Story Theater. 28 Market St., Warren. 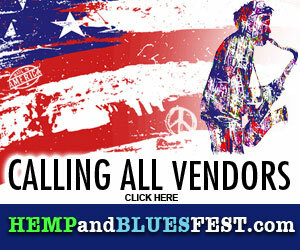 For tickets, call 401-247-4200. Next post: Don’t Quit Your Day Job, Mike Fasulo!